i have always wanted to come back, so today is my second time. 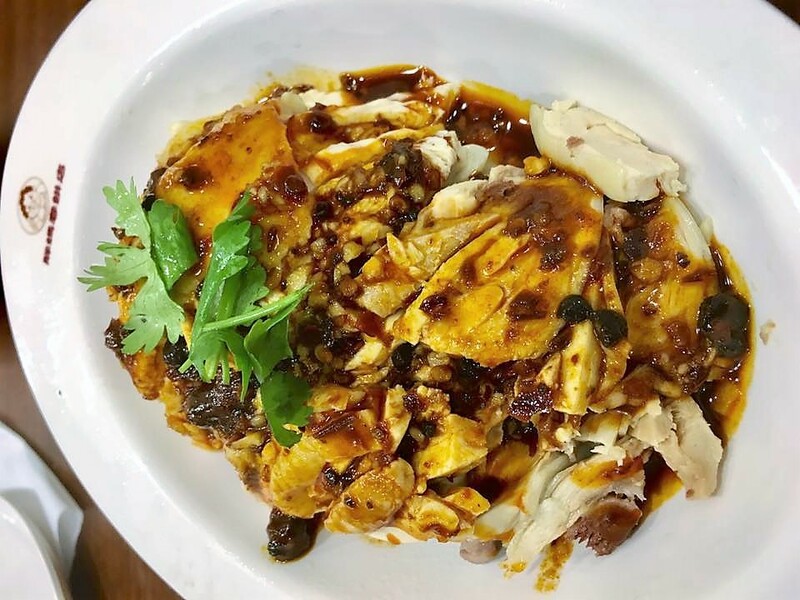 we arranged to go to duck master 鸭师傅 at peoples park complex, place order for the S$15 roast duck, then have lunch here, and collect the duck after lunch. 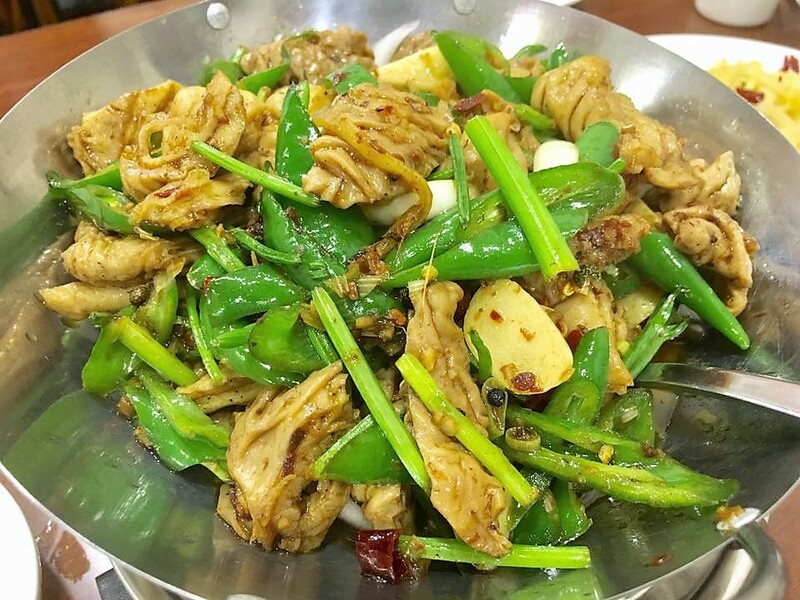 the dry wok large intestines 干锅大肠 is the best dish here, so we have to die die order that. i must try cooking this wonderful dish liao! 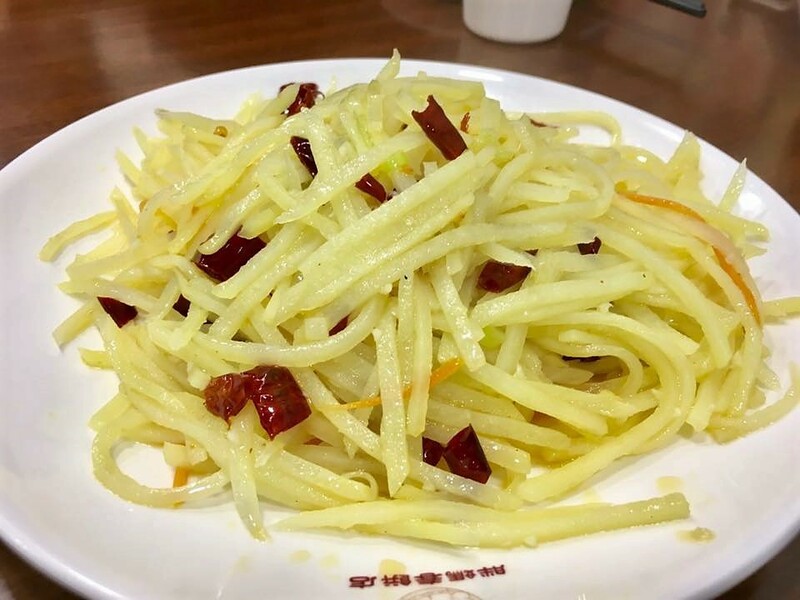 we had the potato strips 土豆丝. server recommended the 麻辣 style as she said it was more 爽口 tasty! very niced julienned potatoes. perfect texture , great taste. 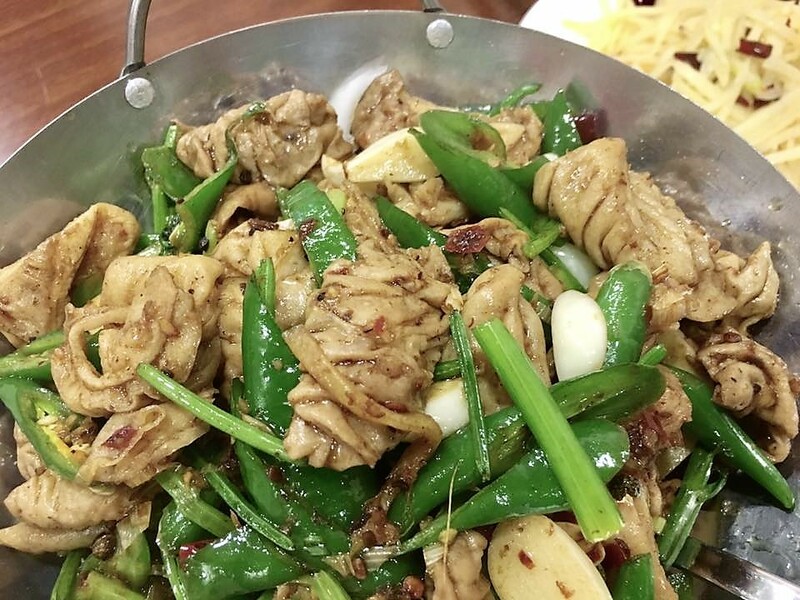 the saliva chicken 口水鸡 is very nice. far better than what we had at tunglok seafood last evening. 麻辣sauce very tasty & chicken breast was very sweet. very nice dish, but this preparation not my favourite. 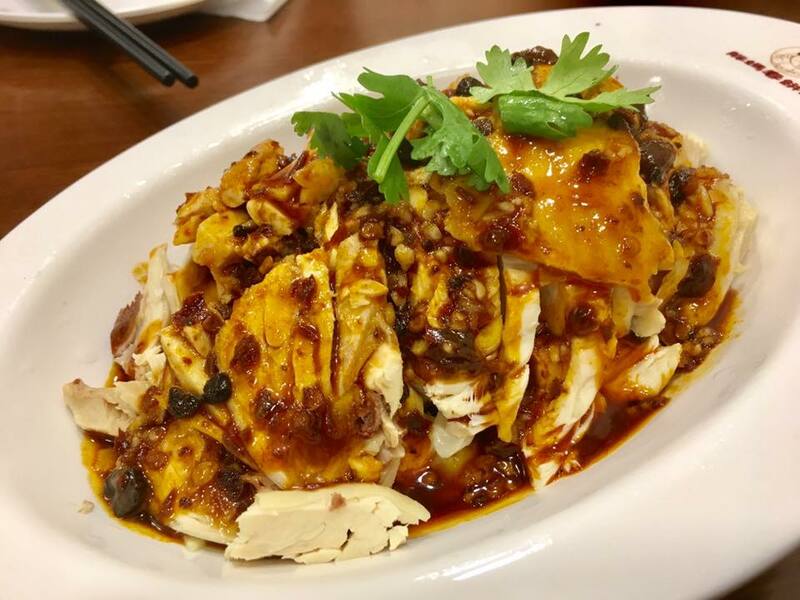 imperial treasure for example will prepare cut chicken like in chicken rice or drunken chicken then add the 麻辣sauce. dry wok large intestines 干锅大肠, the bestest dish. intestines well cleaned no bad taste, texture was perfect & the flavours were just the best! fried ribbon fish with salt was a common dish i had in childhood, hardly sees it now. 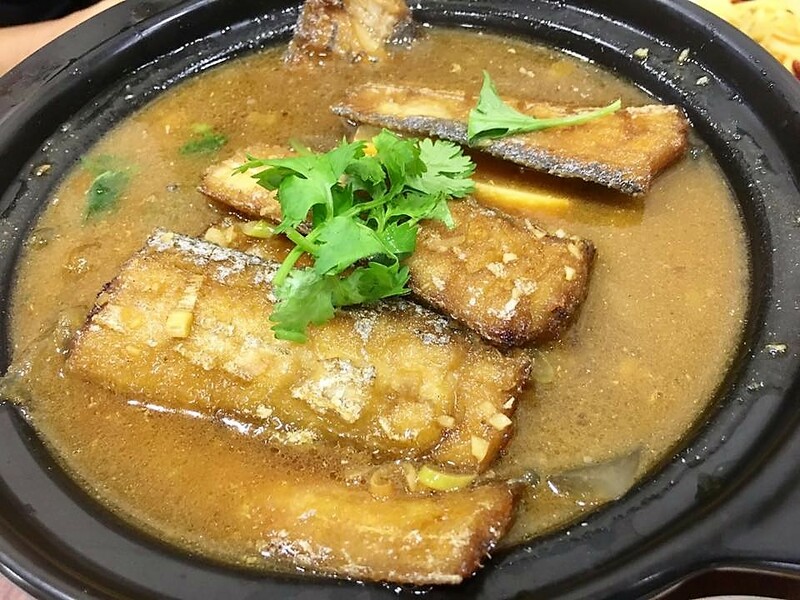 this dry wok large intestines 干锅大肠 dish was done perfectly…fish was nicely fried & flavourful & the gravy/soup was fantastic. so nice! last time we had 水煮鱼, which was good. 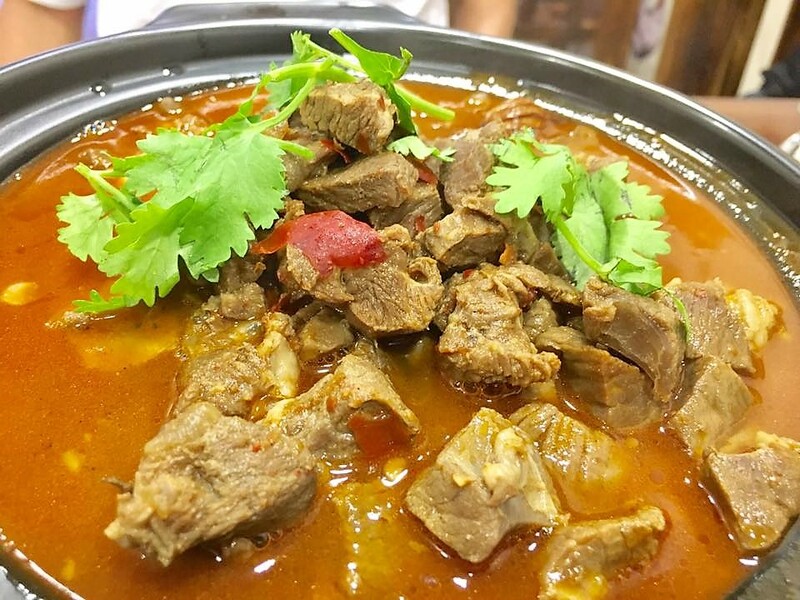 this time we decided to try the claypot mutton 砂锅羊肉 . it was a competent dish. 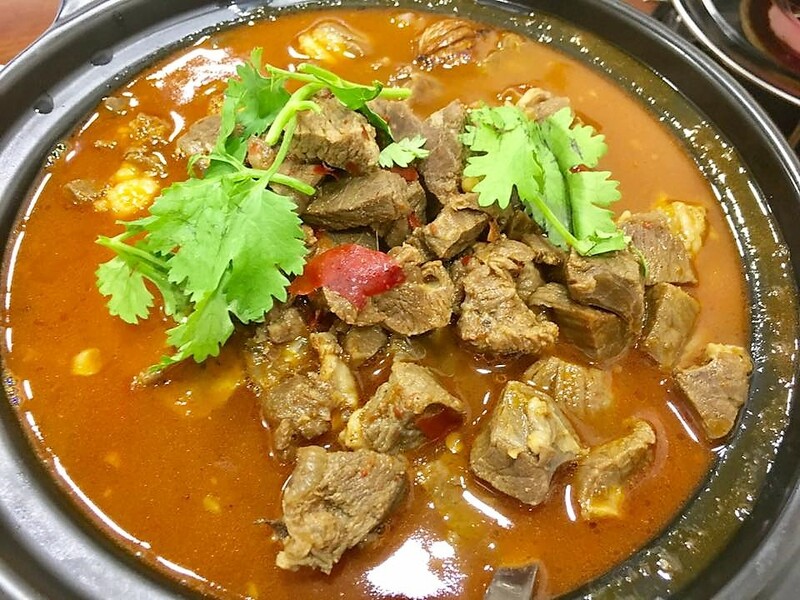 but mutton had strong gamey taste, & texture not tender enough, a bit tough. 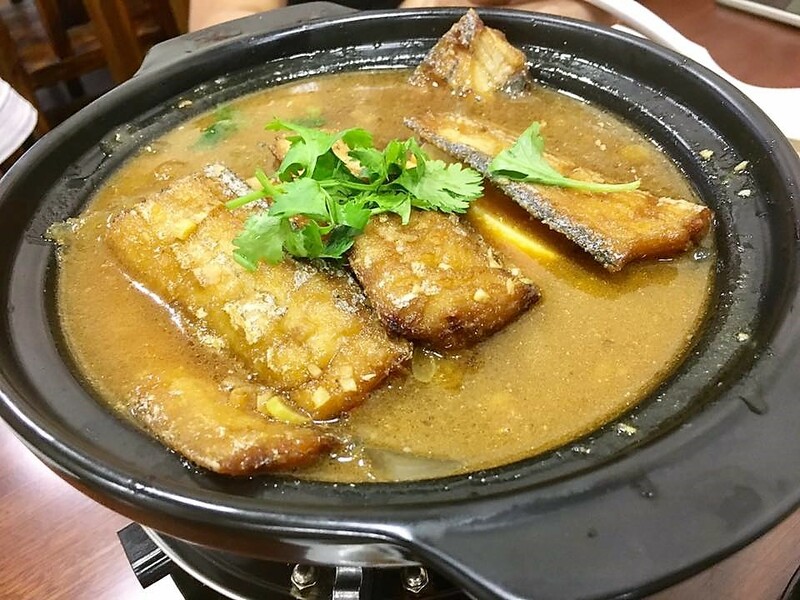 the gravy was good too, though not in the league of the gravy for claypot ribbon fish 干锅刀鱼. 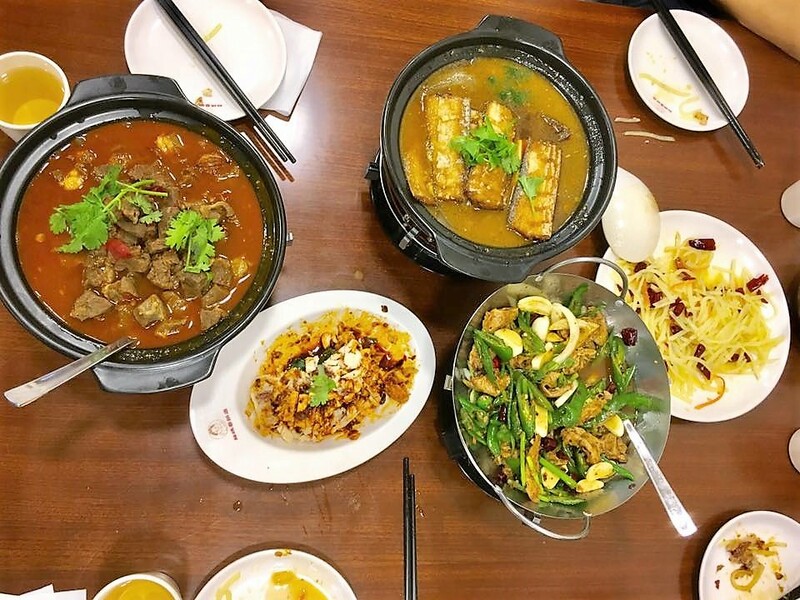 4pax lunch with 5 dishes was S$69, pretty good prices for such superb food.